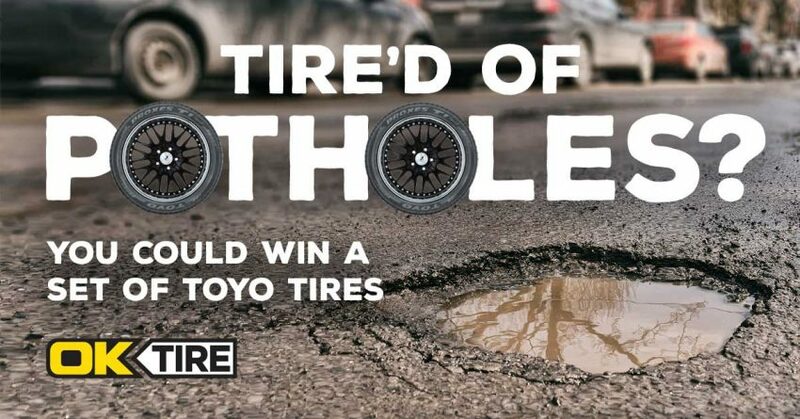 Take a picture of a pothole in your area and submit it through the form below for your chance to win a set of Toyo Tires from OK Tire. Every picture guarantees you an entry into the draw. So get out there and find us the biggest and ugliest pothole! Because, who doesn’t want a free pair of tires?